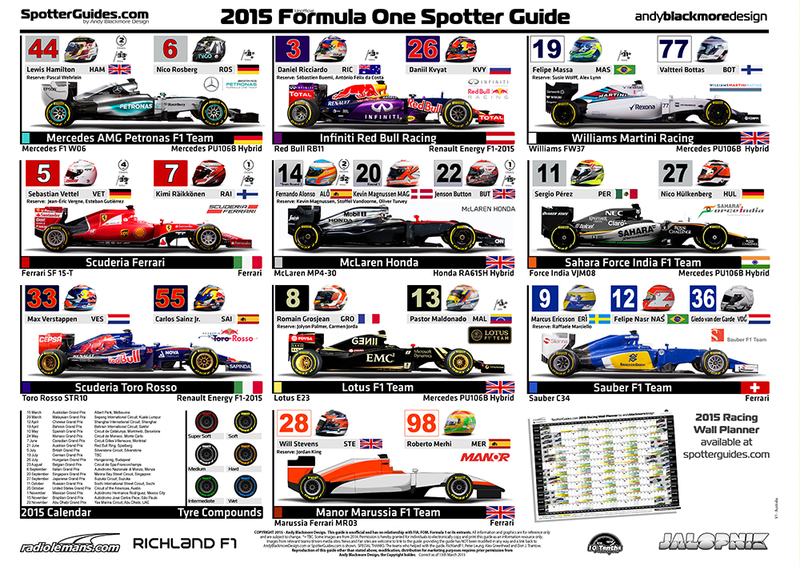 The 2015 Formula One Spotter Guide has been updated for the Malaysian Grand Prix. 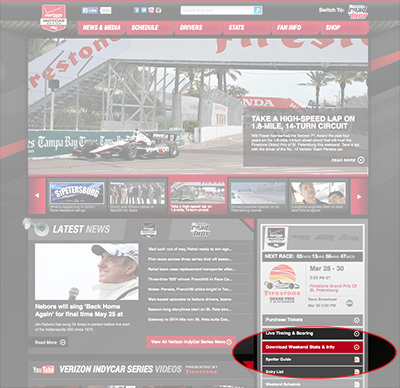 Download at the new 2015 F1 dedicated page. Available as a PDF or JPEG file. 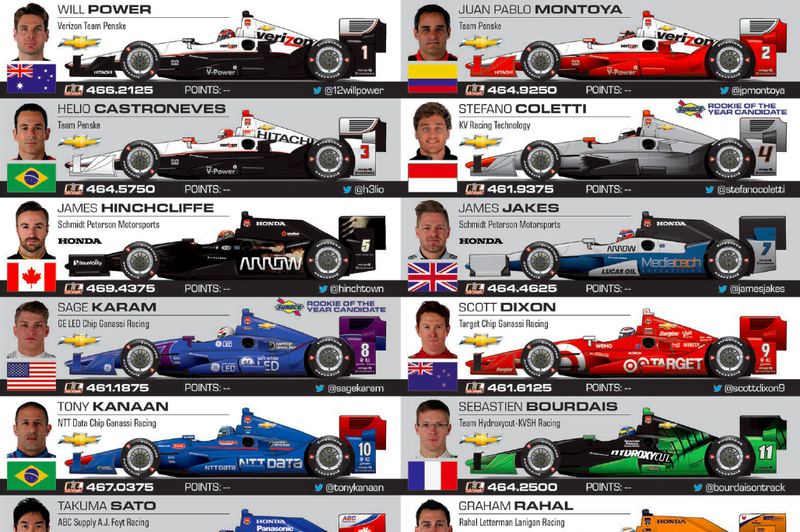 INDYCAR’s very own Ryan Long has released the first of the series 2015 Spotter Guides at INDYCAR.com. With the introduction of bdykits, new liveries and new drivers, you will need the guide to catch-up on the updates. 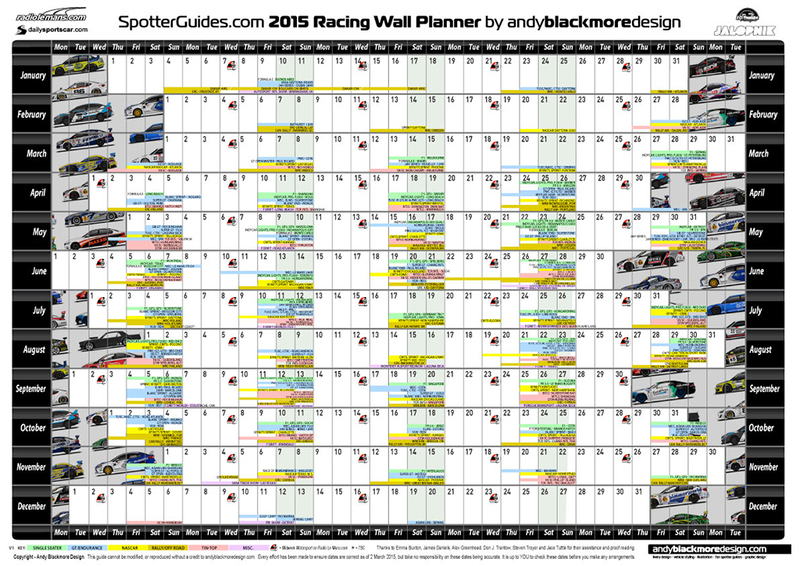 2015 Racing Wall Planner is now live! Long time coming as my motorsport livery work has kept me busy, but I’m pleased to announce the 2015 Racing Wall Planner is now available to download as a PDF, or new for 2015, a Print available on RedBubble.com The Wall Planner features all the main racing series around the world, grouped into motorsport genres. Download the guide on the dedicated page here on SpotterGuides.com Feel free to spread the word!